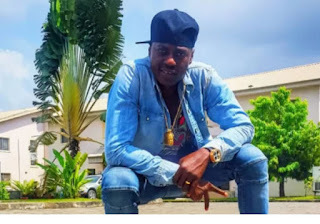 Sound Sultan has moved into his very own home in Lagos. It’s not on the Island, but Mainland. So what made him move from Festac Town to Amuwo Odofin? Congrats are in order for Sound Sultan! This is because the singer and his family have moved into their very own house. It’s not on the Island, but on the Mainland. So what made him move from Festac Town to Amuwo-Odofin? Besides, both zones are located along the Lagos-Badagry Expressway. ‘I believe everybody has a choice of whatever they want to do with their lives, it’s not for me to question, refer or compare, this is where I LOVE to put my house,’ Sound Sultan told Thenetngon why he didn’t move to the Island where most of his colleagues reside. The grateful singer celebrated his 40th birthday on Sunday, November 27 with family and celebrity friends, including musician Daddy Showkey, actress Grace Amah, comedian Princess and music producer, Tee-Y Mix. Sound Sultan’s seventh studio album, Out of the Box was released on November 11, and he now plans to push it further with the music videos. Bimpe Gold @. Awesome Inc. theme. Theme images by molotovcoketail. Powered by Blogger.